Connect this versatile label printer to your PC or Mac to create a wide variety of professional labels up to 36mm. Fitting neatly onto your desktop, the LW-900P takes care of all your labelling requirements, from filing to asset tagging, making it ideal for signage, facilities and goods-in departments. 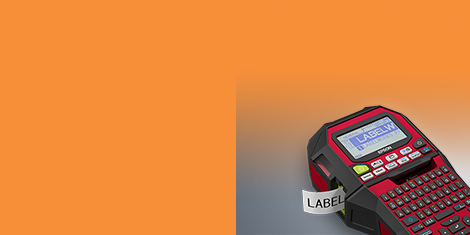 With a resolution of 360dpi and a print speed of up to 25mm/s, you’ll get high-quality labels at high speed. Creating labels is easy using the included software with intuitive menus. Choose from pre-loaded label templates, or design your own and store them on your computer. A special toolbar enables you to add pre-defined frames, symbols, barcodes and text enhancements, or import images. In just a few steps, your label is ready to print. Using the software, you can import data in csv, txt and xls(x) formats, create a layout corresponding to the column headings, and then print labels for each line of data. You can also print a series of labels with incremental dates or figures. Producing labels is a hassle-free process from start to finish, as the LW-900P automatically detects the tape width, and automatically cuts or half-cuts the labels once printed. Its convenient integrated trimmer can round label edges, and a dedicated window displays how much tape remains. 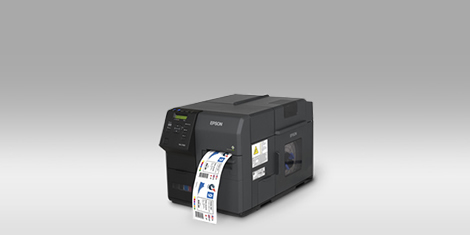 Epson’s wide selection of labels in 6, 9, 12, 18, 24 and 36mm sizes cover virtually every labelling need, with transparent labels, cable wraps, writable matte paper labels and more, plus a choice of adhesive strengths and colour combinations. All Epson labels are very durable, resisting water and withstanding hot and cold conditions. The LW-900P minimises label margins, meaning you get more labels per tape, and Epson’s 9-metre label tape offers economical refills. Two four-metre label tapes are included to get you started. See how much you could save with the LabelWorks product range.